The roaring support of a local crowd would not be enough to continue instant phenom Trent Bryde’s run at the BB&T Atlanta Open, as he succumbed to No. 1 seed and fellow American, Denis Kudla, 6-1, 6-1. From the start of the match, the audience at the AJC Grandstand rallied behind the Suwanee, Ga. native. With each point won by Bryde, the stands erupted in cheer, but being broken early would set the tone for the inevitable defeat. 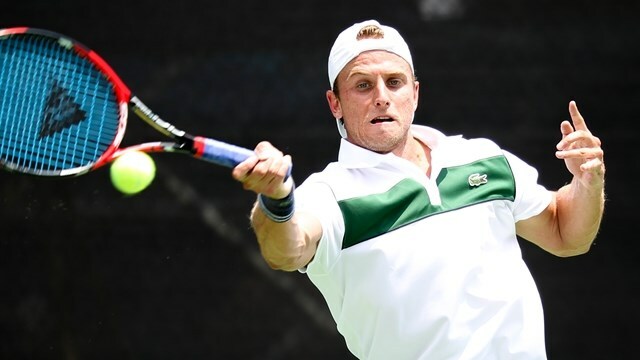 Bryde, who was riding a seven-match winning streak leading up to his second round encounter, could not find rhythm against the more seasoned Kudla. Fresh off a fourth round appearance at Wimbledon, Kudla made quick work of the 15-year-old, while not dropping a single service game. Kudla will take on Marinko Matosevic Monday at 12 pm on Stadium Court.